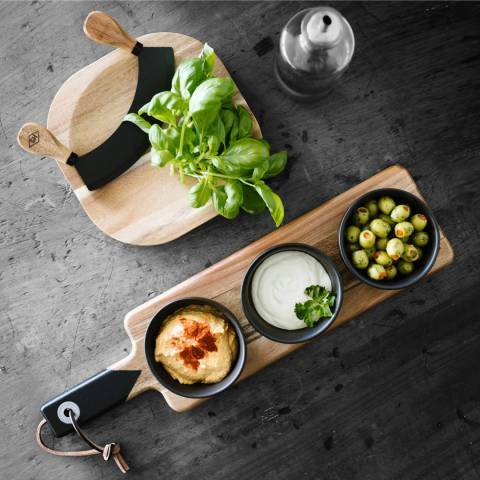 Serve up your finest foods to guests on this set of two wooden serving boards from Gentlemen's Hardware. The rustic boards are crafted from acacia wood and finished with painted black handles and real leather hook ties. A welcomed addition to your existing tableware collection and ideal as a feature piece at a dinner party or simply for everyday use, with two sizes to complement different dishes. 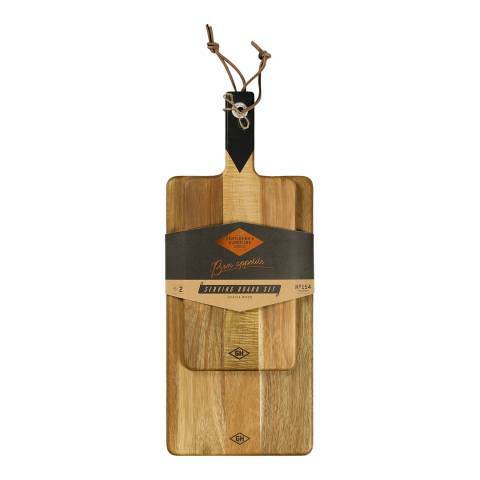 Each board features Gentlemen's Hardware branding and can easily wiped clean for use as and when you need it.